You'll be surprised that you don't need to hit a fast-food chain to get a decent meal for under $10 in New York City. With these tasty choices, you might not even want to try New York City's Most Expensive Restaurants. Looking to spend even less on your meal? Check out our New York City Meals Under $5. Hidden in the swanky Parker Meridien Hotel, this divey burger joint is a bit hard to find (ask the well dressed concierge to point you in the right direction) but it serves up tasty burgers and shakes to an in-the-know crowd. Known as the Polish Tearoom, this Times Square restaurant is popular with professionals and has an only-in-New York feel, as it's located in the former ballroom of the Edison Hotel. The best deal at this South Indian restaurant that is both Kosher and vegetarian is the lunch buffet -- they even bring appetizers and freshly baked breads to your table. 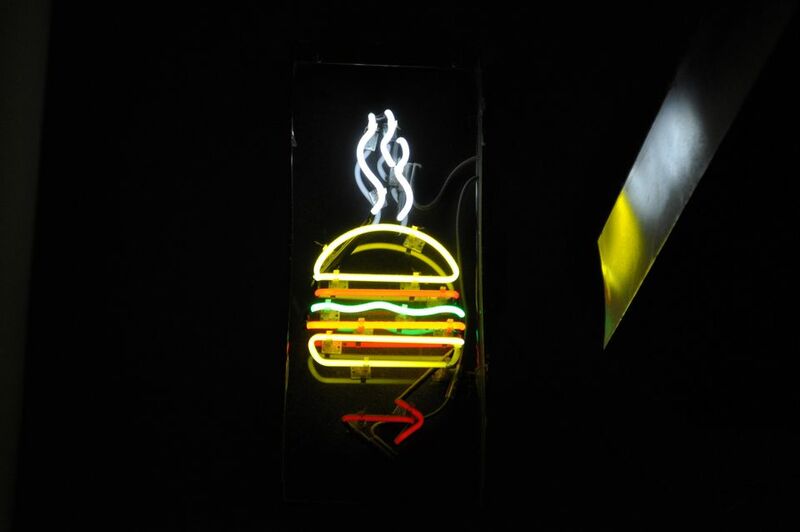 There is a reason that there is almost always a line at Corner Bistro -- this neighborhood joint serves up tasty burgers, crisp fries and cheap beers. This Flatiron sandwich shop has been around since 1929, offering a serving of nostalgia with their traditional luncheonette menu. While it might not be much to look at, this Chinatown staple serves delicious Cantonese dishes and roast meats. Open late, Great NY Noodle Town is a great choice for filling up after a night on the town. Subway: F to East Broadway; B, D to Grand St. This simple Chelsea restaurant serves up Cuban classics, including Cubanos, baked chicken, and roast pork. Ignore the sometimes slow service and don't miss the daily specials. This surprisingly affordable (and very popular) falafel joint serves tasty falafel and Middle Eastern cuisine late into the evening. Vegetarians and meat-eaters alike will be satisfied by Mamoun's, though it might be tough to find a place to sit in this tiny restaurant. Nicky's serves up classic bahn mi with paté, ham, ground pork, pickled carrot, cucumbers, cilantro, jalapeno, and mayo on a baguette at this small East Village restaurant. The Middle Eastern food served at Sip Sak is a great respite from cheap meals of pizza and burgers. The freshly baked Turkish bread is top-notch and what's even better is that you can bring your own bottle of wine to enjoy with your meal. When the weather is nice, this is a great choice for dinner or lunch. Have a seat at one of the many tables, or take up some space on the park's grassy lawns and enjoy Chicago style hot dogs, burgers and concretes at this Madison Square Park burger stand operated by Danny Meyer (of Eleven Madison Park, Union Square Cafe, and Tabla fame). Need more budget dining ideas for New York City? See our Meals for $5 or Less article.